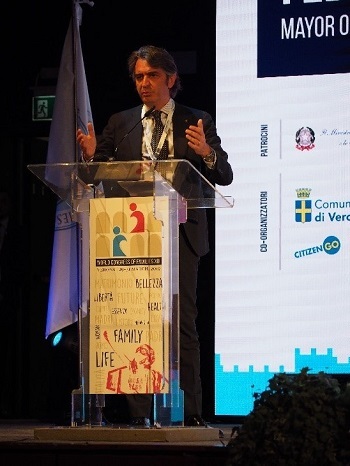 I was privileged to attend and speak at the most recent World Congress of Families (WCF), held in Verona, Italy from March 29-31. 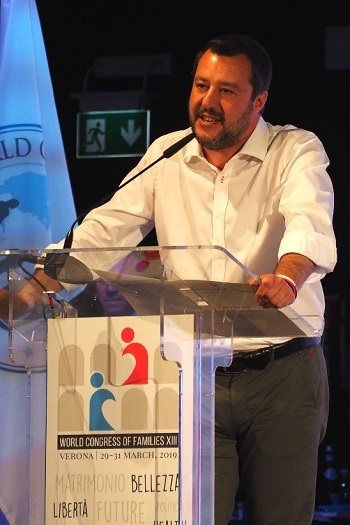 Only after hearing what the Italian speakers at the Congress had to say did I realize that this may have been the most controversial of these events—in its own country—held so far. The most frequently cited (and refuted) criticism of the WCF was that its views are “medieval.” After two days of hearing references from the podium to the attacks upon the Verona Congress, I finally went online to find Italian news in English to document what had gone on. When a criticism is repeatedly cited by those who were the target of it, it has probably backfired (think of Hillary Clinton and the “basket of deplorables”). That may well have been the case with the “medieval” charge, which speaker after speaker at the WCF seized upon. Part of the reason defenders of the World Congress were able to take the high ground from critics was because of the heavy-handed efforts not only to stigmatize the event, but to prevent it from taking place at all. This had the effect of turning defenders of free speech into defenders of the World Congress, and vice versa. 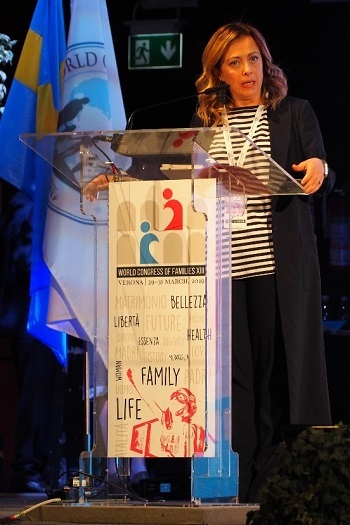 “Does the World Congress of Families promote hatred?” she asked. 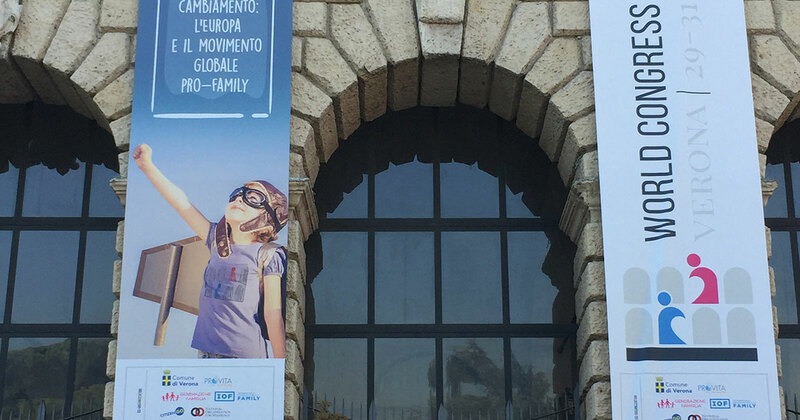 “No, it promotes the family” (and “so does the Italian constitution,” she noted. Article 29 of that document says, “The Republic recognizes the rights of the family as a natural society founded on marriage.”). 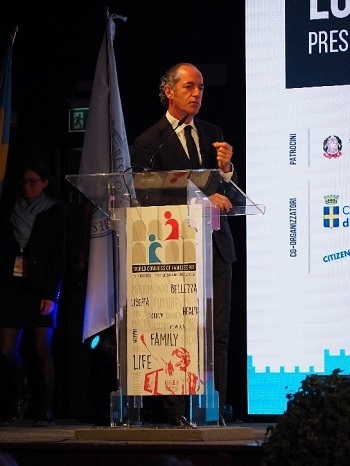 Given the ferocity of the attacks, the organizers of the World Congress of Families (especially Chairman Antonio Brandi) deserve tremendous credit for persevering. And the speakers who braved the criticism to address and/or actively support the Congress deserve the thanks of all those of us who attended. Special kudos to those not even part of the pro-family movement who nevertheless stood for the principal of free speech. To all of these, I say—Grazie, Italia!